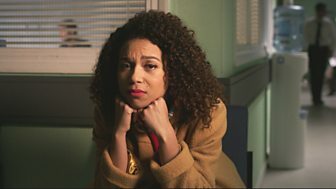 Series 2 of The Break is an exciting collaboration between BBC Writersroom and BBC Drama Production to make five original short monologues for BBC Three, written by up-and-coming BAME writing talent from across the UK. Following on from the success of the first series, these shorts will showcase writers with a strong, unique voice who have yet to write for the screen. The selected writers were discovered through BBC Writersroom talent searches, development schemes and theatre partnerships. The commissioned writers are: Berri George, Emteaz Hussain, Chino Odimba, Nathaniel Price and Maya Sondhi. Created by up-and-coming talent from across the UK.